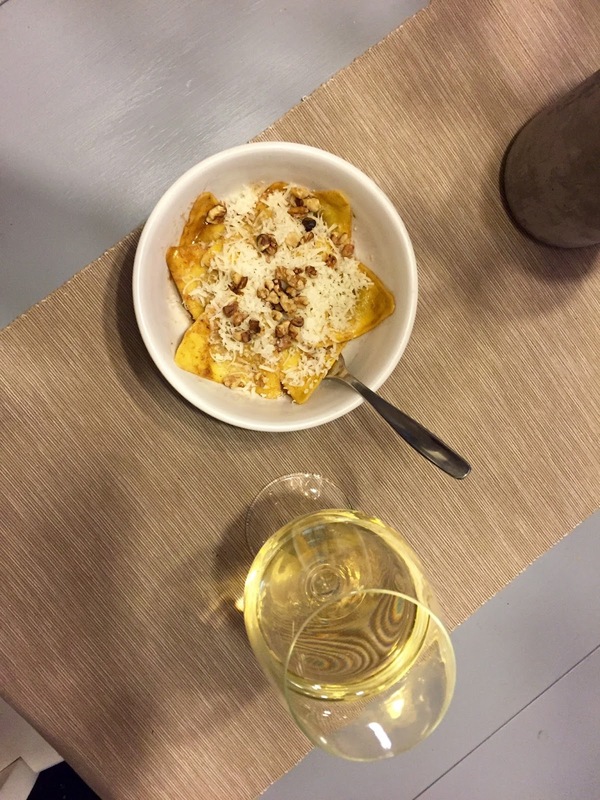 heather & olive: ravioli with balsamic brown butter. ravioli with balsamic brown butter. After having those incredible spring-like temps this past weekend, Monday was cold and rainy and sleety and gross. 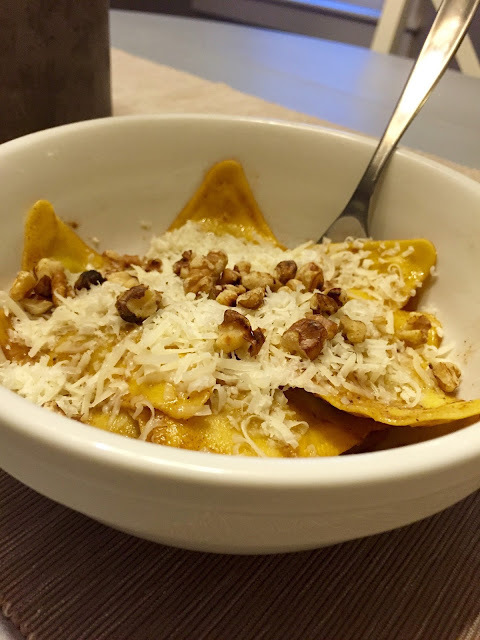 I was craving something comforting for dinner last night, so I quickly whipped up some ravioli with balsamic brown butter and toasted walnuts using this recipe. I halved it since I only had one package of ravioli, and I used Trader Joe's Porcini Mushroom and Truffle Triangoli which was okay, but not my favorite. This sauce was super easy though, and it felt a little fancy for a Monday--it would be good on any variety of ravioli...I'm thinking butternut squash next time.